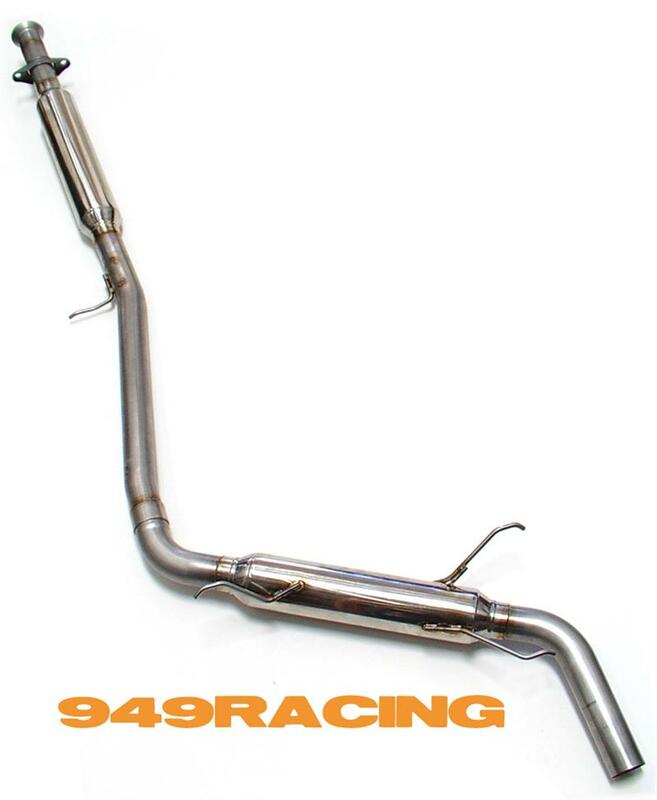 949 racing 2.75" Laguna exhaust system - Miata Turbo Forum - Boost cars, acquire cats. This looks like it would be a good but a bit loud turbo exhaust. Any plans for 3" in the future? It is pricey though, a bit high for our crowd? How loud would this be paired behind a turbo? Race only loud? Get me arrested loud? Get me arrested only if I mash the gas? There's nothing wrong with my FM trubo duals that a cat delete, bigger diameter, and major weight-loss wouldn't cure. I'd rather spend $400 more for FM's turbo-back 3"
something tells me a few people dont get the point. laguna seca has noise limits. race cars need to be light. if we were comparing turbo back exhausts. God you are an idiot. This is a turbo forum, is it not? Why, pray tell, would you want anything less than 3"? If this costs in the $600s, why the hell not go 1/4" bigger and get a matching 3" downpipe included all for just $400 more. Man you sure are illogical as **** go ahead and get this, then. I just think it's retarded if you're pushing big power. This would be nice for N/A though. Designed as a no compromise race exhaust for the Miata. The design and construction is focused on maintaining peak gas velocity with maximum possible flow. While even a stock engine will see nice power gains, it's optimized for engines making over 150whp. clearly for n/a s/c cars. you're comparing a turboback 3" exhaust to a catback exhaust (or headerback, depending on options). If you had anything other than a FM turbo setup, the turboback would be pointless since it includes a downpipe. now if you were comparing catback to catback, then we'd be onto something and I'd probably agree. The Laguna exhausts are not intended as a value priced item like the F1 clutch. These are no compromise, ultra light weight race exhausts. They're loud, expensive and built to order here in OC. - Off the shelf Miata exhaust systems intended for street use constantly break steel hangers on really fast Miatas. The few low cost "race" systems I tried all broke and/or didn't fit worth a damn. We have developed and even lighter resonator that saves 2lbs over the original design. A header back twin resonator 2.5" system like the one shown will weigh a tad over 15 lbs. The lightest system I've seen outside of that is the 18" shorter (cat-back), 2.375" (smaller tubing) Fujitsubo at 17.0 lbs. Our Spec Miata system is now under 10lbs. The next step in eight is thinner tubing and hollow hangers, both come with the penalty of higher cost and decreased durability. So yeah, these aren't for everybody. They're intended for the driver that needs a genuine race exhaust but doesn't have a shop near by that can build what they need. Are you still building these? and are there any videos on it would be appreciated. I'm also curious if these are discontinued.